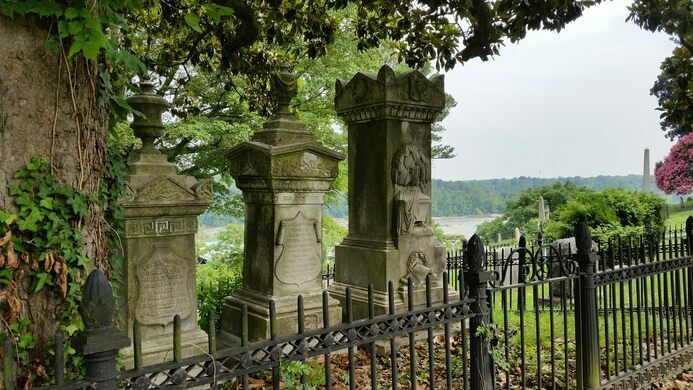 Overflowing with hauntingly beautiful funerary statues, Hollywood Cemetery attracts photographers as well as those out for a Sunday stroll among the rolling hills overlooking the James River and the downtown Richmond area. It offers scenic views as well as poignant spots for reflection in the Gothic landscape. The cemetery was designed in 1847 and opened in 1849, 12 years before the Civil War, which would eventually provide the cemetery with an ample supply of residents. The 135 acres of garden-style grounds serve as the burial place of two U.S. Presidents (James Monroe and John Tyler). Confederate President Jefferson Davis is also interred here. A memorial in the shape of a 90-foot stone pyramid looms over the graves of over 18,000 enlisted Confederate soldiers. Confederate Generals J.E.B. Stuart and George Pickett are buried here. Hollywood Cemetery has also been used by teens and college students who slip in at night (especially on Halloween) to view the mausoleum of W.W. Pool, Richmond’s resident vampire. 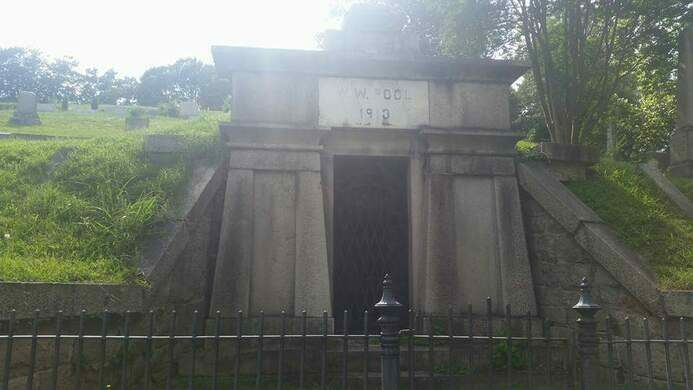 Legend has it that after a railroad tunnel collapse under nearby Church Hill in 1929, a man-like creature covered in blood with jagged teeth and flesh falling off his body was seen heading into this mausoleum. The legend has since been debunked, but that doesn’t seem to stop the rumors or the visitors.